As a beautiful black and white Malumute sprints through the pristine snow towards a research station, a Norwegian helicopter fires at it from above in John Carpenter’s deliberation on paranoia and trust (or lack thereof), in his horror-thriller-monster-movie remake The Thing, both the cast and the audience get to reconcile in real time – “Who in the hell would shoot at that beautiful dog and why?” The answers come soon enough, and they are as gruesome as they are terrifying, as Kurt Russell leads a strong ensemble cast (Wilford Brimley, David Clennon, Keith David, Richard Dysart, Ricahrd Masur, Peter Maloney, T.K. Carter, Joel Polis, Charles Hallahan, Donald Moffat and Thomas Waites) that fight for their survival against an alien life form that has assimilated into the dog’s DNA, and remains alive on a cellular level, even after the dog is incinerated – searching for a living host. 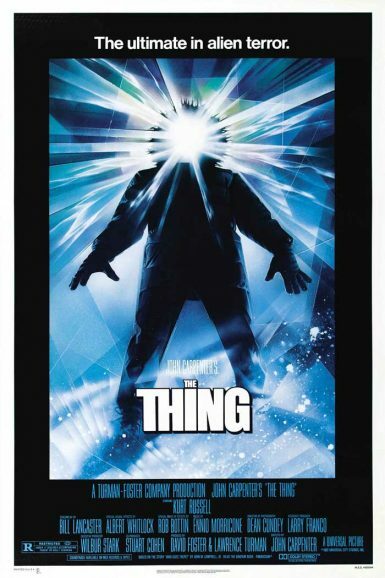 With its in-camera special effects that moved the needle forward in that art form, while raising the bar on what remakes should aspire to, The Thing stands as Carpenter’s masterpiece, and continues to influence filmmakers both young and old, in this claustrophobic whodunit, paced by Ennio Morricone’s atmospherically spooky score. View a collection of The Thing lobby cards on the New Beverly forum. Kim Morgan discusses The Thing on the New Beverly blog. 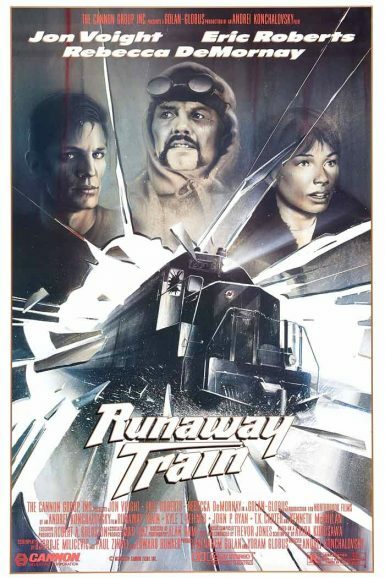 Garret Mathany interviews actor Thomas G. Waites for the New Beverly blog.